Sigma Mu Zeta kicked off “Breast Cancer Awareness” month on October 5th by hosting our 2nd Annual Wednesday Wig Wine Down at the Calabar Bar and Grill in Stone Mountain, Ga. This event is one of the ways we receive monetary donations and wigs in support of the American Cancer Society. The event is an opportunity to fellowship with friends, family and fellow Greeks that continue to support this event. At our monthly chapter meeting held on October 15th, was themed “PINK OUT” and the membership was encouraged to wear pink and bring in donations of wigs or money. 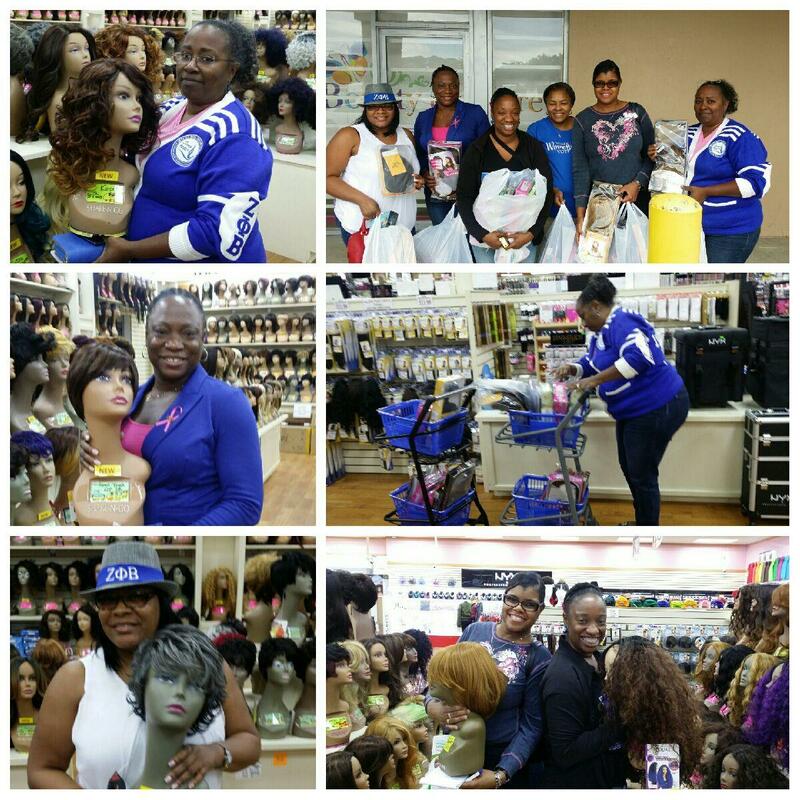 After the meeting, we went to our favorite Beauty Supply Store to shop and in honor of our continued patronage the store owners also donated additional wigs. This year we were also fortunate to have some of our partners join us in collecting and donating wigs. On Saturday, October 29th, we joined the thousands of others along with one of our undergraduate chapters from Clayton State College at Piedmont Park in Atlanta to participate in the “Making Strides Against Breast Cancer Walk”. 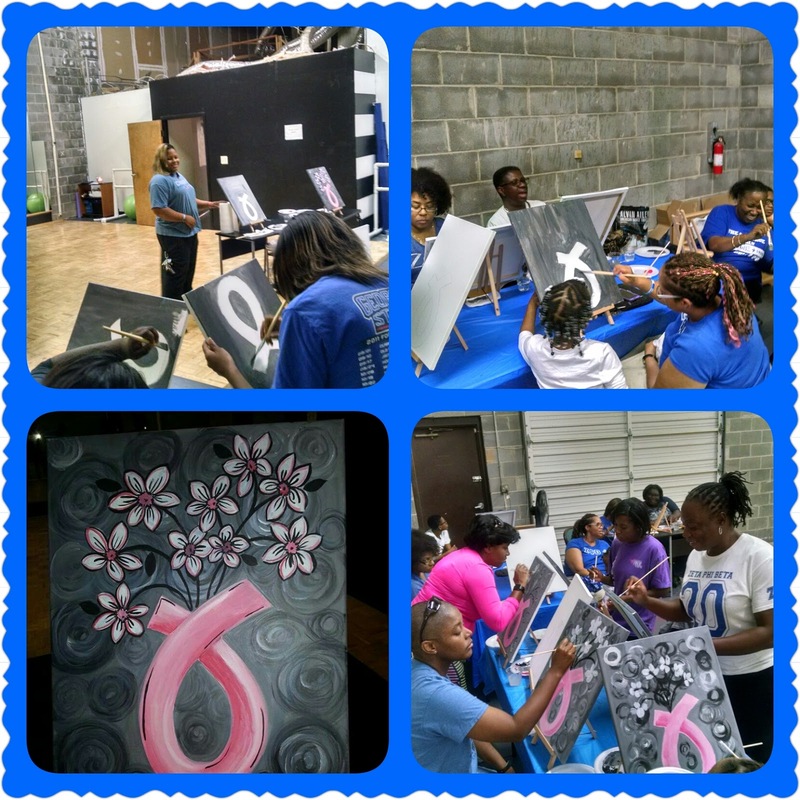 We concluded this month with a sisterhood event that included family and friends at a canvas painting party with a Breast Cancer Awareness theme on Sunday, October 30th. A special thank you goes out to our many supporters who helped us reach and exceed our goal for this great cause!